Sarah Mahaffy, 20, of 518 Wolcott St., Bristol, was charged Jan. 7 with sixth-degree larceny. Anthony Adamo, 30, of 67 West St., Bristol, was charged Jan. 7 with sixth-degree larceny. Jeffrey Grant, 33, of 25 Dolbia Hill Road, East Haddam, was charged Jan. 7 with fourth-degree larceny and second-degree criminal trover. Shawnya Watson, 34, of 32 Darling St., was charged Jan. 8 with two counts of possession of narcotics with intent to sell, two counts of possession of narcotics and possession of narcotics within 1500 feet of a school. Alyssa Desiderio, 22, of 100 Plymouth St., Whitman, MA, was charged Jan. 9 with sixth-degree larceny and conspiracy to commit sixth-degree larceny. Christopher McCarthy, 33, of 51 Calhoun St., Torrington, was charged Jan. 9 with conspiracy to commit sixth-degree larceny. Douglas J. Pouncey, 44, of 7 Upson Drive, was charged Jan. 9 with violation of a protective order. Michael J. Cassidy, 60, of 1553 Mount Vernon Road, was charged Jan. 9 with disorderly conduct and interfering with an officer. Wayne Gouthro, 34, of 66 Beths Ave., Bristol, was charged Jan. 10 with sixth-degree larceny, conspiracy to commit sixth-degree larceny, third-degree burglary and conspiracy to commit third-degree burglary. Matthew Ploof, 33, of 10 Hamilton Ave., Brooklyn, CT, was charged Jan. 10 with second-degree larceny and fifth-degree larceny. Michael Krebbs, 34, of 41 Bristol St., was charged Jan. 10 with disorderly conduct, third-degree strangulation and third-degree assault. Patrick Brown, 19, of 22 Goshen St., Hartford, was charged Jan. 11 with first-degree robbery, sixth-degree larceny and possession of narcotics with intent to sell. Jane Musgrove, 20, of 973 Allen Ave., Cheshire, was charged Jan. 11 with possession of less than a half-ounce of marijuana. 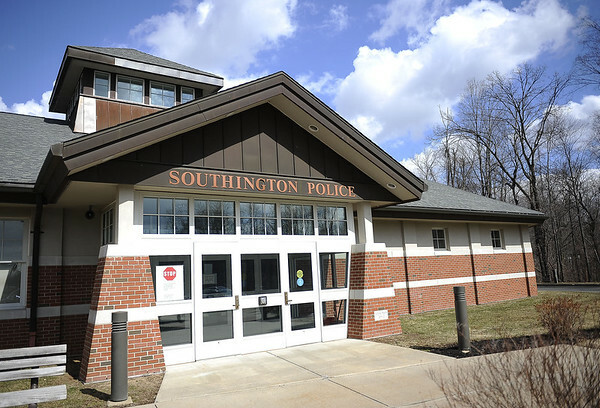 Janet Niksa, 65, of 11 Hidden Hills Drive, Southington, was charged Jan. 11 with having a roaming dog. Michele Vail, 39, of 6 Kane St., was charged Jan. 12 with second-degree harassment. Stephanie Albert, 27, of 75 Skyline Drive, was charged Jan. 12 with possession of less than a half-ounce of marijuana and possession of drug paraphernalia. Posted in The Bristol Press, Southington Herald on Tuesday, 29 January 2019 19:32. Updated: Tuesday, 29 January 2019 19:35.